t’s already the end of the road for the team of L’Élection. The team travelled a good portion of the province, visited 25 high schools, and performed in front of almost 5,500 students! By examining the mechanisms of the democratic process, the play questions its limitations: how far is it acceptable to fight for an idea that seems just? Are we able to stop ourselves when that limit is reached? Constructed around major themes such as minority rights, feminism, the environment and access to education, the play is intended to awaken political awareness and the fragile notion of equality. For its productions for young audiences, Théâtre la Seizième develops a teacher’s guide to support the students before, during, and after the show. It gives the students tools to better understand the creation of a theatrical work and allows them to reach a deeper understanding of the play’s main themes. It’s a practical way for the students to express their ideas and opinions in French. 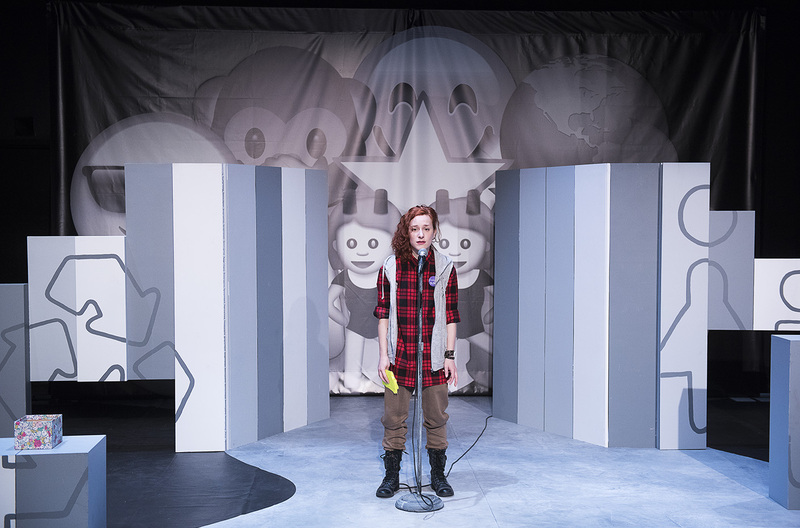 L’Élection was created in collaboration with Green Thumb Theatre as part of Théâtre la Seizième’s dramaturgical development program for British-Columbia’s drama writers. Théâtre la Seizième asks for submissions, in English or in French, from young artists and then supports them through the writing process. The goal is to eventually present this new production. This component is part of a more comprehensive program of training, resourcing, and dramaturgical development for performing artists. Théâtre la Seizième’s goal is to support theatre training in Western Canada and local theatre creation.